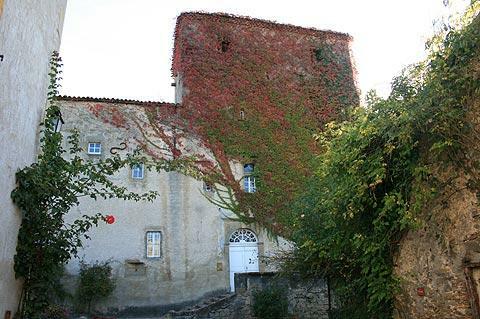 Camon is in the Ariege department of the Midi-Pyrenees, south-west of Carcassonne and listed among the most beautiful villages in France. 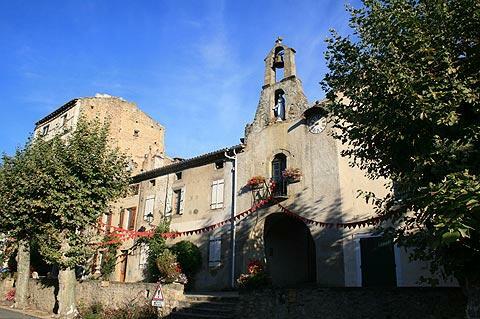 Camon is a fortified village which has grown up around a benedictine Abbey. 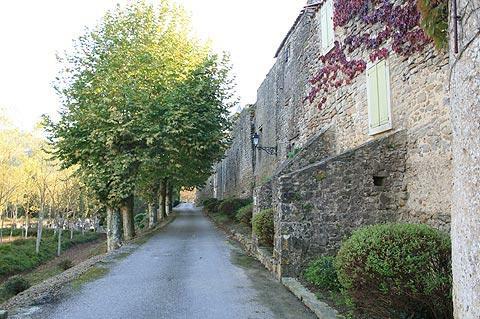 The origins of the abbey date back to 923 and possibly earlier, however the original abbey and the village were destroyed along with Mirepoix and many other villages in the area in 1289 when a natural dam gave way. The village was rebuilt in the 14th century during the Hundred Years War in the style of a royal fortress, including a crenellated defensive wall that surrounded the church and abbey buildings but not the village. 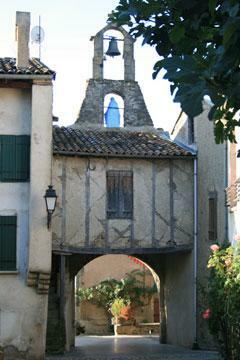 By the 15th century the abbey had been abandoned but the bishop of Mirepoix began its rebuilding. Following an attack by bandits in the 16th century, the wall around Camon was extended, this time to also surround the village. With the Wars of Religion at the end of the 16th century, the ramparts were again improved and the Round Tower was built. The abbey has been a private building since the French revolution and nowadays the monks cells are bedrooms and the abbey is a chambre d’hote. It is possible to take a guided tour of parts of the abbey including the cloister and the bishop’s private study which contains 16th century frescoes. Tours are organised by Camon tourist office. Apart from the abbey the pleasure of a visit to Camon comes from strolling around the village and soaking up the atmosphere of this peaceful and attractive village. 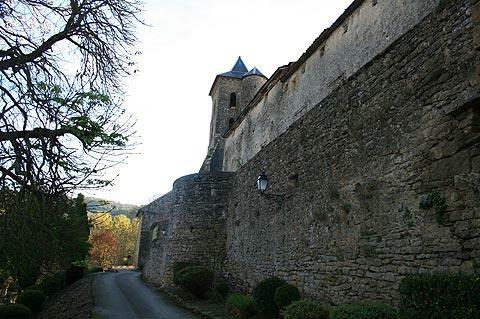 There are several places in the village where you can see the historical ramparts. 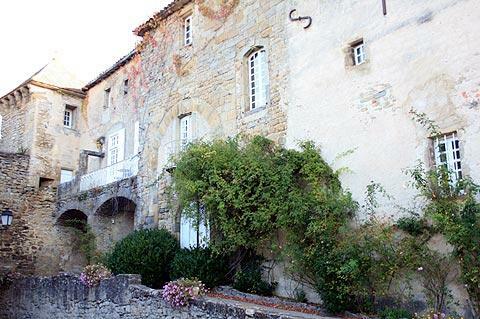 The Maison Haute was built at the beginning of the 16th century, as part of the new defences. 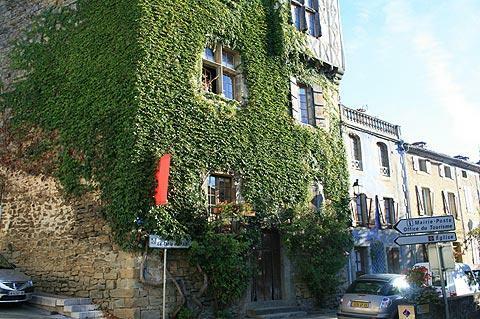 The original tower was used as a local entre for tax collecting but was transformed into a house in the 17th century, and is the most impressive medieval house in Camon, with a colombage facade and leaded windows dominating the centre of the village. 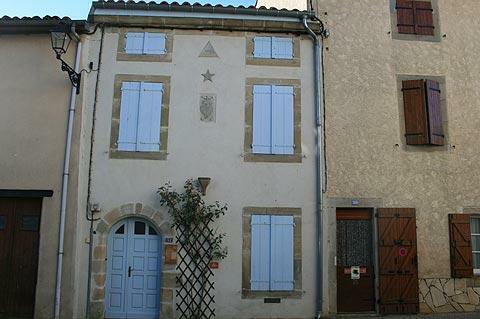 Another interesting house in Camon is the Maison des Symboles. The front of the house is all that remains of a chapel that once stood here, and you can still see various theoligical symbols on the house as well as the date of its construction, 1570. As you explore you will also notice numerous roses planted in the centre of Camon. There are one hundred rosebushes, given to the village by vinegrowers who used roses as an early warning system against diseases of the vines, since the roses would be attacked first giving the winegrowers a chance to take action to protect the vines. (The vines disappeared from this area in the early 20th century). An interesting feature of the area around Camon is its 'cabanes' and there are more than 100 of these stone shelters scattered around the countryside around the village. These used to be used as shelter and storage by the winegrowers and before that they were used by the monks. There is a walk that you can do to see many of these which takes about 2.5 hous to finish and you can get a map from Camon tourist office. There are various other small villages and towns in the region, and Mirepoix a short distance to the north-west of Camon is one of the most interesting, with an attractive historic centre.